The victors not only write the history, they also reproduce the texts. 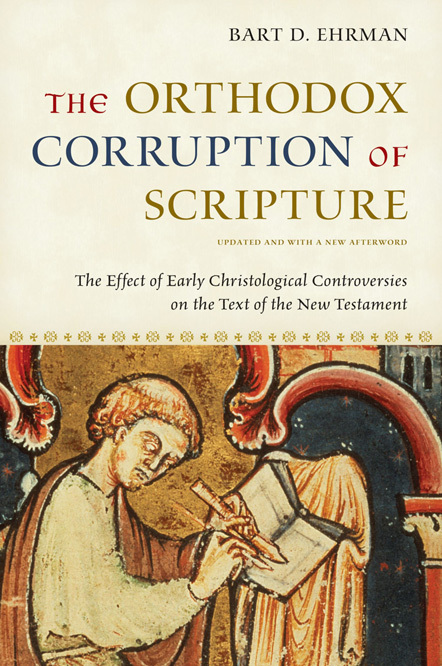 In a study that explores the close relationship between the social history of early Christianity and the textual tradition of the emerging New Testament, Ehrman examines how early struggles between Christian “heresy” and “orthodoxy” affected the transmission of the documents over which, in part, the debates were waged. His thesis is that proto-orthodox scribes of the second and third centuries occasionally altered their sacred texts for polemical reasons–for example, to oppose adoptionists like the Ebionites, who claimed that Christ was a man but not God, or docetists like Marcion, who claimed that he was God but not a man, or Gnostics like the Ptolemaeans, who claimed that he was two beings, one divine and one human. 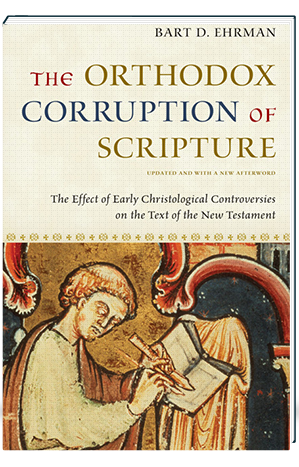 Ehrman’s thorough and incisive analysis makes a significant contribution to our understanding of the social and intellectual history of early Christianity and raises intriguing questions about the relationship of readers to their texts, especially in an age when scribes could transform the documents they reproduced to make them say what they were already thought to mean, effecting thereby the orthodox corruption of Scripture.